Everything is so nice in that photo! 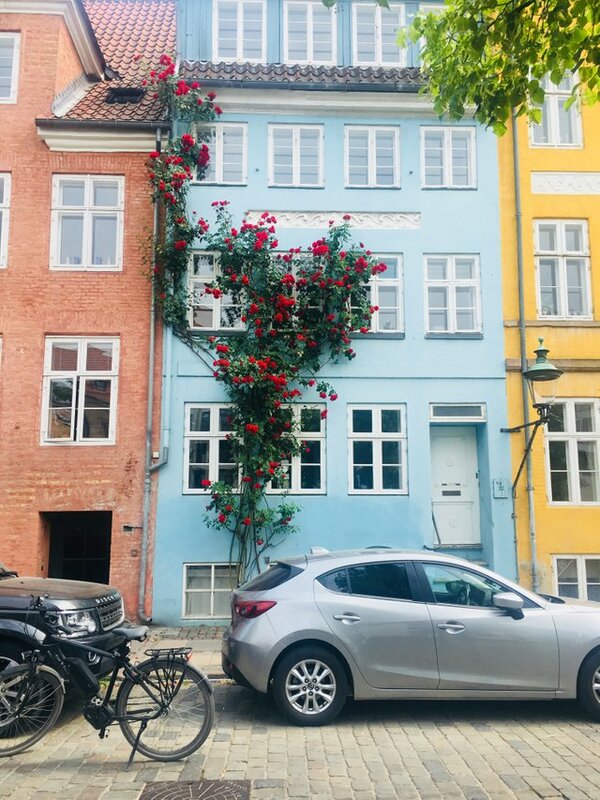 First the wonderful buildings and than that beautiful tree with the red flowers. So pretty!